The U.S. Court of Appeals for the Eleventh Circuit (which covers Florida) recently reversed an important lower Florida court’s decision which awarded an insurance bad faith plaintiff (Bottini) $30 million in a case involving uninsured/underinsured motorist breach of contract claims. The vehicle involved in the accident at the heart of the claim had been underinsured under the requirements of Florida law; still the plaintiff’s estate demanded that Geico, from which the plaintiff had purchased $50,000 of uninsured motorist coverage, render the maximum payment under the policy. Geico refused, indicating that it was still conducting its own investigation to determine whether the insured had been at fault in the accident. As a result, the motorist’s estate filed a civil remedy notice of insurer violation with the Florida Department of Financial Services (a prerequisite to filing a bad faith claim against an insurer). 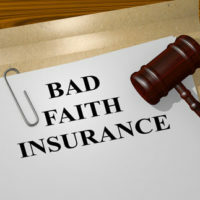 Unfair methods of competition and unfair or deceptive acts, such as misrepresentation and false advertising of false insurance policies, defamation, coercion, false statements, etc. Making claims payments unaccompanied by a statement setting forth the coverage under which those payments are being made. Geico ultimately found that the plaintiff was negligent in the accident, but still sent the plaintiff’s estate a check for the full $50,000, including a release of liability for related claims. However, the estate rejected the check and instead chose to litigate the dispute behind what had ultimately caused the accident. When the case came before a jury, the jury awarded more than $30 million damages to the estate, the plaintiff’s widow, and the plaintiff’s children for loss of support, services, companionship, and pain and suffering. However, the trial court still limited the damages to $50,000 because $50,000 was the policy maximum. The estate then sued Geico in the U.S. District Court for the Middle District of Florida, arguing that it was entitled to the full amount of damages designed by the jury (upwards of $30 million). The district court granted the motion, holding that the verdict was binding. The circuit court then reversed the district court’s order, finding that the appellate court did not review the errors Geico alleged, failing to provide the appellate review to which Geico was entitled to under Florida law. In doing so, Geico had been denied its right to appellate review of properly preserved claims of error in the determination of damages. 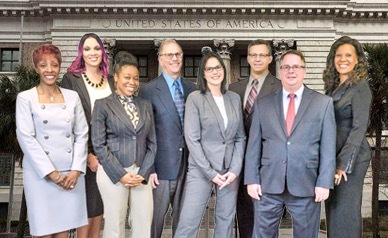 The experienced insurance attorneys of HD Law Partners represent insurance carriers in all types of insurance coverage disputes, including defense of bad faith claims and good faith disputes of liability, coverage, and/or damages. We understand that insurance companies have a duty to defend their bottom line and investigate all claims at a high level for the sake of the company’s other customers. We provide representation to insurance companies being targeted under these claims and others. Contact us today to find out more.